We trust you all had a fantastic Australia Day. I spent some Quality Recovery Time on the beach with my family. It’s amazing to realise that January is over, it has been such a quick month for MindStore Australia as we plan for a fantastic 2012. It is so important to keep focused on your goals, viewing them every day to keep them clearly in your mind. Enabling the universe to assist you in achieving them. P.S. Check out the amazing book by one of our MindStore members in the book review corner this month. Proof it you needed it that MindStores tools and techniques absolutely work. Following on from last months newsletter about writing down your dreams/goals for 2012 to assist you in achieving them. This month we feature a popular goal. Most people’s goal is to lose weight, get fitter, stay fit or a combination of all three. 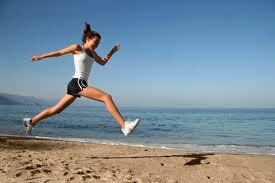 It enables you to be more empowered to achieve your other goals as you feel better and can see the results. Visualise in the present your goal being achieved. Have the desire, belief and expectation that you will be able to fit into that smaller size or run that extra mile. I have seen at first hand my wife Fiona within a few months of having our second son Ewan losing all the “baby weight” and being fitter than ever. She had the desire, belief and expectation that she would achieve her goal. Using the MindStore tools and techniques she was able to achieve that goal. Even after limited sleep in the first few months she kept going out every morning exercising knowing that it just works. · Fun things – finding ideal space in a car park or a table in a busy restaurant, hailing a taxi. As you know we have included a book review for the last 6 months with the intention of highlighting some inspiring and helpful books for your own personal learning and development. This month it is fantastic that we are able to recommend not only an inspiring book but one written by a MindStore member who used the MindStore tools and techniques to overcome extraordinary challenges. MindStore is available to organisations throughout Australia. We are able to deliver customised in-house corporate training events and business performance improvement courses. Before an event we meet to take the time to find out about the key dangers facing your business as well as the opportunities. MindStores complete mental tool kit gives you the best techniques for managing stress, maintaining a positive mental attitude and influencing those around you. As more and more people sign up for the newsletters we have had numerous requests for copies of the previous MindStore newsletters.